WHAT DOES ISLAM teach us about the pursuit of happiness? How can we gain true happiness in this life before the next? Find the answers in this eye-opening guide, that will show you how to create meaning in your daily life and become an intimate of God, by one of Indonesia’s most prominent living spiritual teachers. 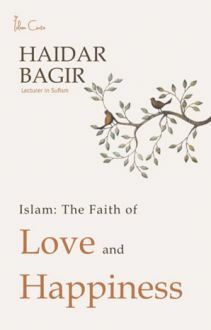 Through touching stories, humorous anecdotes and profound insights into the spiritual realm that draw on sacred Islamic teachings, Dr Haidar Bagir shines a brilliant light into the darkness that all too often overwhelms us. Consisting of twenty nine short and inspirational chapters, this work will take you on a spiritual quest to overcome the maladies of your soul and help you experience true happiness. 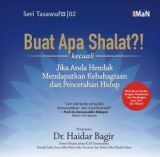 Seri Tasawuf: Buat Apa Shalat ? !